Home Users How to mark the user status “leave” or “absent”? How to mark the user status “leave” or “absent”? You can assign leave using ‘ Resource availability ‘ feature. You can find the feature under the Time log option in left panel. When you are assigning leave, you need to select the slot when you would like to assign leave. 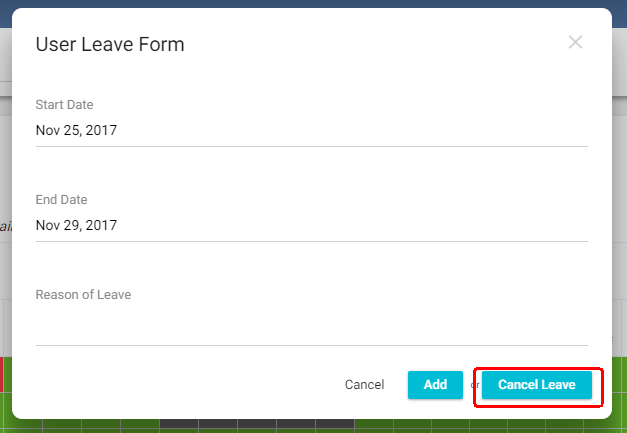 You can also select the slot allotted for leave to cancel the leave.